I have forty-three years of original cyclotron targetry research experience, in a wide variety of vocational positions, and as a PI on three small business grants that have resulted in significant commercialization. 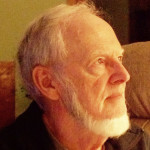 My experience with cyclotron targets started with the 1970 design and deployment of C-11 and O-15 targets for use in labeling radiopharmaceuticals for testing the transaxial PET scanner newly invented at that time by Ter-Pogossian and Phelps at Washington University. In the mid-1970s in Oak Ridge, I co-published accurate measurements of the p,n reactions for O-15/N-13/C-11/F-18 using enriched target materials, in order to propose a proton-only positive-ion cyclotron for PET radionuclides. At the same time, I implemented targets on the Oak Ridge 86-inch cyclotron for production of C-11 used in clinical diagnostic studies with cyclic amino acids. In the early 1980s at BNL, I deployed one of the first enriched water targets for F-18 and published original gas target density reduction studies. Beginning in 1986, I worked on O-15/N-13/C-11/F-18 cyclotron targetry deployed on the CTI RDS-112 H- surface-shielded cyclotron. As the Cyclotron Director at Duke University from 1992-2003, I implemented an internal At-211 target for oncological MAB therapy. In 2002, I incorporated Bruce Technologies Inc., a company tasked with doing R&D on high-performance cyclotron targets for PET/CT. Matthew has been melting radionuclide targets professionally since 2003 and has managed more than 60 cyclotron target upgrade projects since Bruce Technologies first began commercial operations. Research interests include simulation of radiation transport and thermal hydraulic phenomena, control system design, and radiation-hardened systems design. 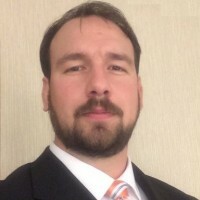 While most of Matthew’s time is spent managing BTI Targetry, he also maintains an appointment as Adjunct Associate Professor in Nuclear Enginering at North Carolina State University. Johanna Peeples has more than 10 years of experience with cyclotron targetry, with an emphasis on accurate thermal-hydraulic modeling of target systems. She is proficient with commercial computational fluid dynamics codes, including SolidWorks Flow Simulation and ANSYS Fluent. 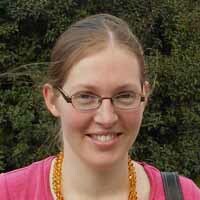 She has been employed as a staff scientist at BTI Targetry since 2010, focusing on development of computer models for design and optimization of high performance cyclotron targets for production of radioisotopes for nuclear medicine applications. Other activities include design and experimental testing of novel diagnostic targets for direct visualization of boiling in batch-style water targets, dissemination of BTI Targetry R&D for journal publication, and providing mentorship for graduate students at North Carolina State University.